Heavy metal is in again, but before you pop in that old Black Sabbath CD and strumming your air guitar, stop and consider that we aren’t talking about music – but rather the lustrous fabric instead. That’s right, ladies, the metallic trend is back. Although shiny garments might seem like something you would save for a fancy party, we’ll show you how to rock it – all the time, day or night. 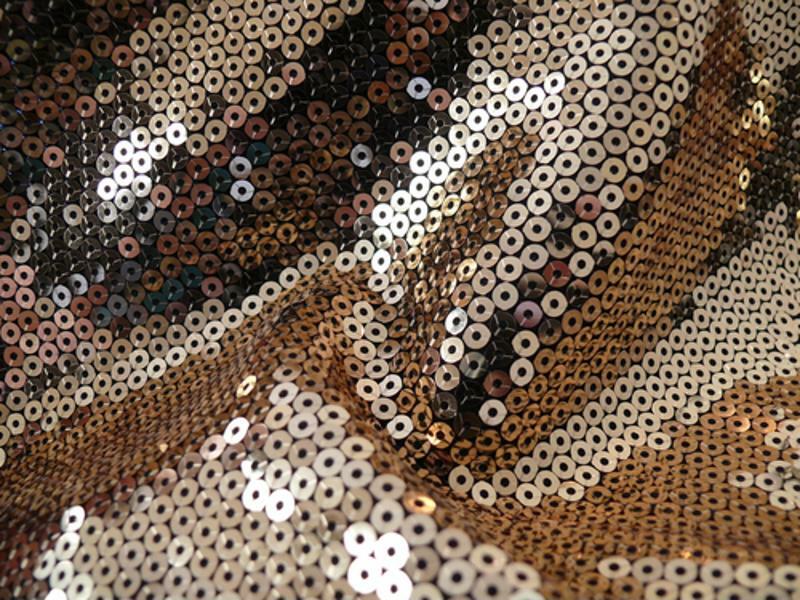 So all you disco divas out there, here’s your chance to have some fun in all this metallic glory. Whether it’s fun, flirty or casual, brighten up any outfit with your favorite shiny shade – blue, silver, pink, pewter – and you’re golden (pun intended). If you’re new to this trend, start simple by pairing metallic garments with neutrals. This will help balance out the intensity of the metallic piece, exuding both a chic and polished look. Another way to begin small and work your way up to this eye-catching trend is to start with a pair of metallic shoes, keeping the rest of your outfit simple. For a date night, slip on one of your hi-low skirts, a solid-colored blouse and the Gladiator Wedge by Monroe and Main, and you’re ready to roll. For a more casual look, team the Faux Leather Metallic Jacket with a pair of white skinny jeans and a black top – it’s effortless and the perfect getup for waking around town. Just remember: Always use neutral tones to balance out the brightness of the metallic piece. You can also pair shiny metallics with their neutral, matte counterpart. For a simple yet gorgeous look, pair a silver maxi skirt with a fitted gray blouse. To complete this outfit, throw on tailored gray blazer. For a balanced yet fabulous look, pair metallic fabrics with neutral garments. The metallic trend is eccentric and fun to style, but it is important not to get lost in it. To avoid looking like a disco ball, keep it low-key. Just purchase a couple of simple and modest pieces that flatter your figure and can be worn many different outfits. Begin styling your outfit by choosing one metallic piece – be it a blouse, pants, jacket, or dress – and keep the rest of your ensemble to a minimum. Even if you’re feeling adventurous, we recommend not decking yourself out in head-to-toe metallic. Instead, tie in a solid-colored garment to complement your metallic piece. Your ensemble will still radiate an edgy vibe, but the matte color from your second article of clothing will provide balance for a more subtle look. Metallic accessories are a great way to to add a little shine to your casual outfit. Dress up your ensemble with a shimmery fashion scarf, clutch, shoes or belt. Even the slightest addition of this color will instantly make your look pop. This is a great way to dip your toe into the trend before fully committing to this edgy style. If you’re already wearing a metallic garment, steer clear of accessories all together. Remember: Less is more. The shiny clothing piece is already the focus of your outfit, so don’t divert the attention away from this fabulous fabric. If you do, no one will know where to look, so let the metallic piece do the talking. However, if you’re a guru when it comes to accessorizing, stick to simple, matte pieces.